CTP is the only Accredited Research Centre (Centre de Recherche Agréé – CRA) in Belgium dedicated to the in Mineral Processing of materials. Benefiting from expertise built up over 20 years in this field, CTP offers a huge range of skills and analyses to companies exploring and developing natural mining deposits, and also to companies who transform and recycle industrial and urban post-consumer waste ("Urban Mining"). 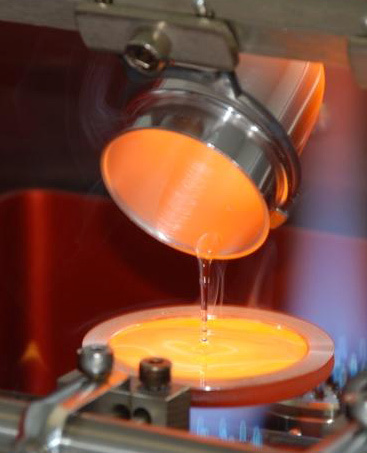 Its expertise not only covers the processing of these "deposits", but also encompass the production of materials with strong added value and a focus on upscaling. New "secondary" raw materials and/or new materials are created at CTP using these by-products. The expertise of CTP lies in Research and Development work, Studies and Tests for our clients, Expert Consultancy (profiling of minerals, study of deposits, etc.) and finally laboratory-based Analyses and Profiling. CTP's "pilot" platform (IMPRoVE) is unique in Belgium due to its size (> 5500 m2) and huge range of equipment. Combined with the "laboratory" grade equipment (concept of "upscaling"), it allows CTP to suggest a plant diagram to companies fairly quickly, along with estimates for CAPEX (investment expenditure) and OPEX (operating expenditure) for stand-alone operations. Discover our 2017 Activity Report! Visit the dedicated project websites!